Dr. John Lindberg has been the Medical Director of the Physical Medicine and Rehabilitation Department at Citrus Valley Medical Center for more than 15 years. A graduate of the University of California, Irvine Medical School, he received multiple awards, including one from the Alpha Omega Alpha Honor Society. He earned his board certification in Physical Medicine and Rehabilitation from the University of California, Irvine Medical Center in 1993. As Medical Director he oversees neurological and orthopedic rehabilitative care for the inpatient and outpatient departments. He also performs outpatient electromyography and is certified in acupuncture. 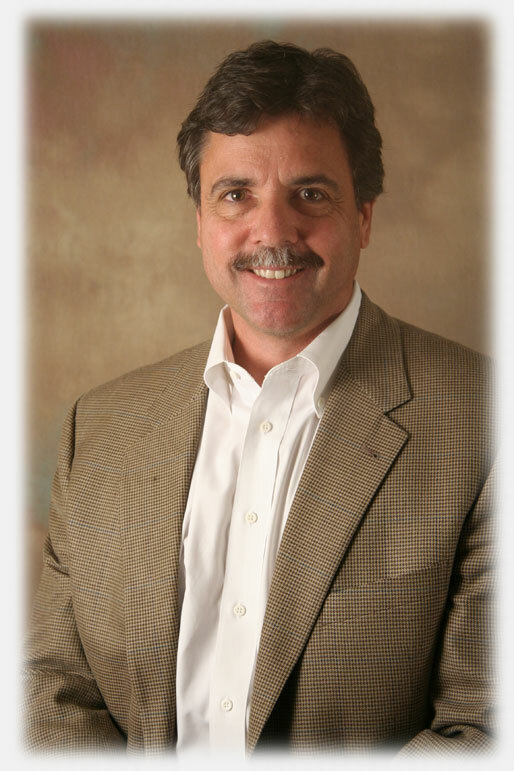 An avid golfer himself for over 20 years, he has now extended his outpatient musculoskeletal medicine practice to include golf injury management and golf performance. With advanced certification through the Titleist Performance Institute in both the medical and biomechanical tracts, he has merged the latest in golf assessment and detailed musculoskeletal evaluation. In addition, he is trained in golf biomechanics with the state-of-the-art AMM-3D system. This allows a detailed swing evaluation to be part of the injury management and performance programs at GOLF Medical Clinics. The design of GOLF Medical Clinics was carefully built by Dr. Lindberg utilizing the latest in technologies for golf swing analysis with the multidisciplinary involvement of the Citrus Valley Centers for Rehabilitation Services. Dave Concepcion holds a Masters in Physical Therapy and a Bachelors of Science in Biology with an emphasis in Physiology and a minor in Chemistry from Long Beach State University. He currently works as a Physical Therapist for Citrus Valley Health Partners in West Covina where his emphasis is in orthopedics, ranging from sports related injuries to total hip and knee replacements. He is also experienced in the treatment of neurologic related injuries as well as amputee populations. 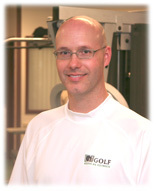 Dave is a credentialed clinical instructor with the American Physical Therapy Association and is also certified as a golf fitness instructor through the Titleist Performance Institute. Ken Hofeldt has been a licensed Physical Therapist Assistant for 10 years. He earned a baccalaureate degree from Cal State San Bernardino and received his PTA certificate from Mount St. Mary’s College. He has practiced in orthopedic settings at both Gallatin Medical Foundation and Citrus Valley Health Partners Centers for Rehabilitation Services. 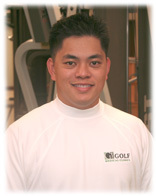 Ken is also certified as a golf fitness instructor through the Titleist Performance Institute.